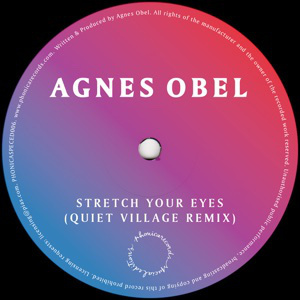 The sixth instalment of Phonica’s small batch Special Editions series sees Quiet Village turn out a dark, atmospheric groove from an album track by Danish vocalist/pianist Agnes Obel. The main track on this disc is a slow burner that never quite climaxes, and you wouldn’t really want it to. Instead, Quiet Village treat us to nine minutes of smoky beats and sizzling pads that underpin it with something frantic, a sprint that never arrives, the perpetual car-chase, or haunted by the chase of your own tail. On the flip you’ll find the lush Agnes Obel acapella. Phonica Special Editions 006 is available on the 6th October. You can pre-order it over at the Phonica site.